Buy for your child as presents is also a good idea. Cute & soft squishy charms for cellphones, bags, keys, gifts, collecting, and more! From Pandas, Cupcakes, Donuts, & more! 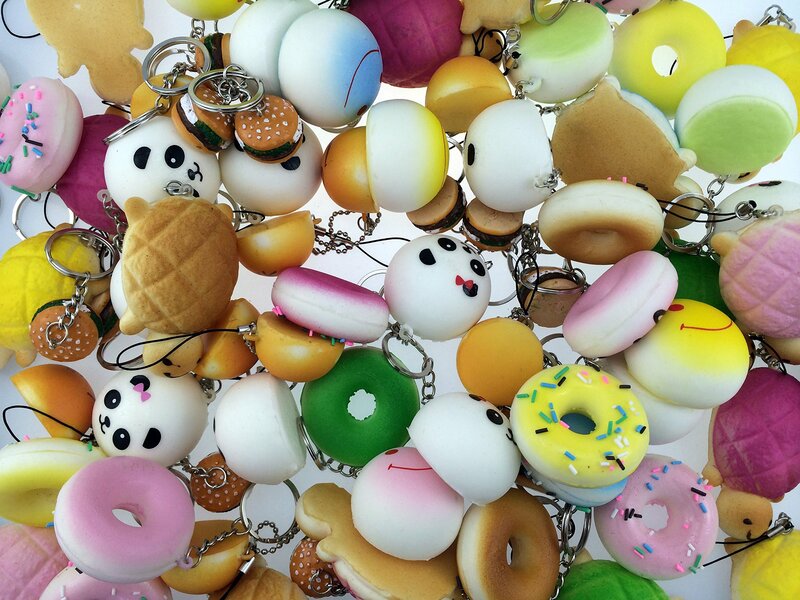 Cute & soft squishy charms for cellphones, bags, keys, gifts, collecting, andmore! All of our Squishy Charms are generic. Package Included: 8 PCS NOTICE:We do not sell wholesale so there should be NO other sellers; Any othersellers are illegally selling their own products using our registered Trademarked company name. In this listing, purchasing from any seller other than"BeautyMood" will result in a potentially faulty product that may be unsafeand cause injury. Please be sure to purchase this product from the"BeautyMood" seller to avoid any problems with your product and to ensure bothyour safety and satisfaction. Manufacturer's warranty included only whenpurchased from BeautyMood. IF you find any problems about our products, pleaselet us know and we will give you refund 100%!